This forum will provide information on how our community members can take action in the fight against the Bureau of Land Management and Extractive Industries from the selling of more land in the Greater Chaco Region. This December, BLM will auction off more parcels of land which are also within the 10-mile buffer zone for the protection of the Chaco Canyon National Historic Park. 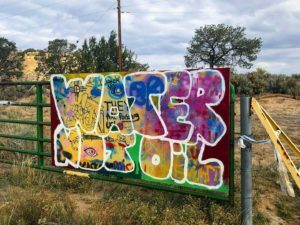 We have Dine Relatives from the Tri-Chapter House Communities that are already facing the impacts of fracking and Pueblo Ancestral Lands are at stake. We are demanding that the BLM stop the lease sales!! It is vital that we come together to take action to protect the people and land. Food and light refreshments will be served.